The Academic Staff Union of Universities, Nasarawa State University Chapter has decided to give the university authority a 3-week ultimatum starting from 14th of February to meet its demand or embark on "total and indefinite strike. A statement issued at the end of ASUU National Executive Council NEC mell interventions going on fail to address the outstanding issues". This extension may not be unconnected with the intervention of the Nasarawa State House of Assembly Committee on Education and other stakeholders, who prevailed on ASUU executives of the university to give government and the university management some time to comply with the demands of ASUU. In one of the resolutions reached with the union in order to avert the strike, NSHA committee on Education led by by Hon. Daniel Ogazi, both parties resolved that the state government and the administration of the university will "release the sum of one hundred million Naira (100,000,000) each which will represent 22% of the 45% and subsequent modalities will be worked out to implement other outstanding issues". The Assembly also agreed to re-negotiate with the state government and upwardly review the monthly subvention coming to the university. It also resolved to prevail on the university council to implement the content of the white paper of the visitation panel. 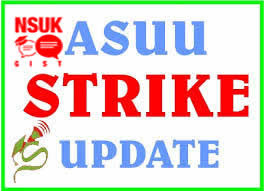 In their congress held on February 16, 2016 at the Assembly Hall of the university, ASUU agreed to shelve the planned industrial action, at least for three weeks, within which the university and the state government are expected to comply with much of the agreement.